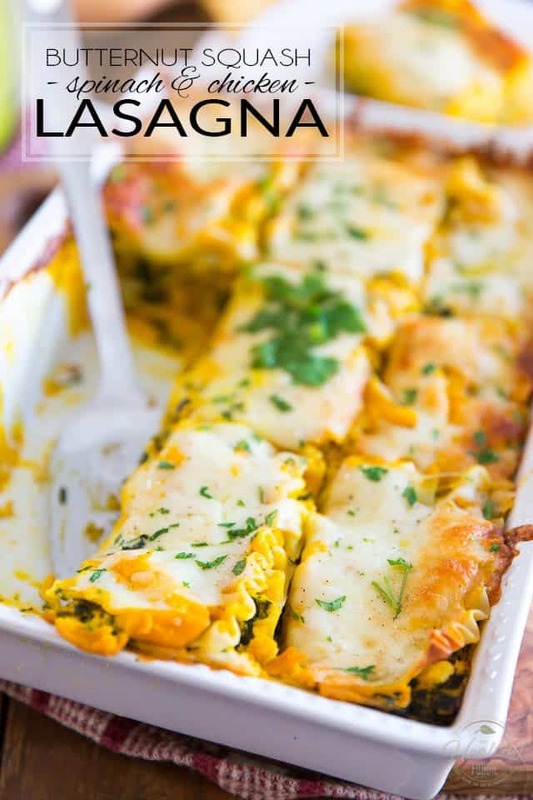 Layers of pasta smothered in a silky oven roasted butternut squash sauce and loaded with generous chunks of chicken, feta cheese and spinach, topped with melted mozzarella cheese. Who could say no to that? And then “THIS” is what I get! Pffff! Thankfully, my lasagna photographing skills are in no way proportionally related with my lasagna making abilities. 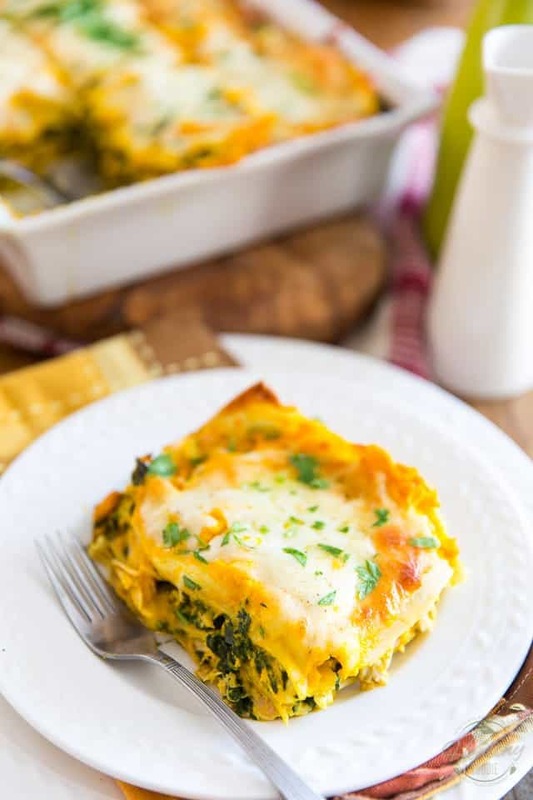 Trust me, this latest creation of mine, an utterly rich and creamy Oven Roasted Butternut Squash Lasagna with loads of Spinach and Chicken, has to taste at least a hundred times better than it actually looks. Perhaps even two hundred! 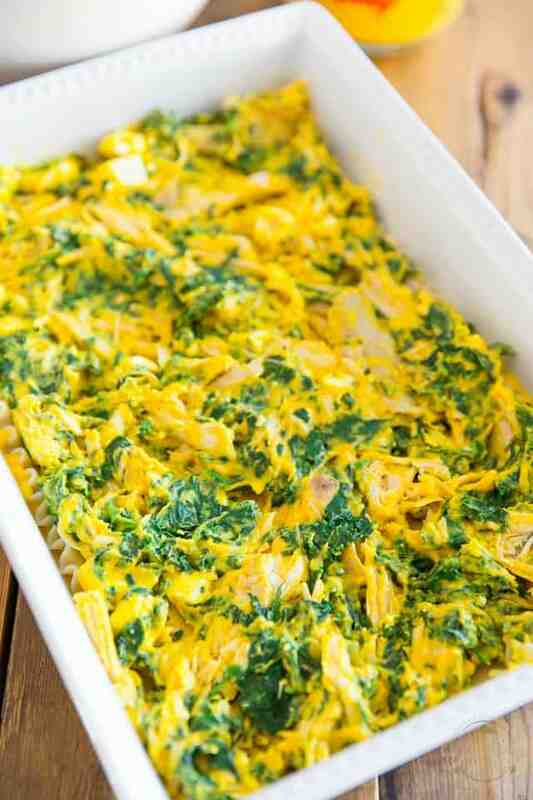 Sadly, on the pictures, you see nothing of the gargantuan amount of pieces of chicken that hide underneath the layers of pasta, nor can you imagine the insane creaminess and unctuousness of that oven roasted butternut squash sauce. As for the spinach, well, it seems to have gone AWOL! And don’t even get me started on the cheese… why is it just sitting there, looking so stuck-up and rigid? 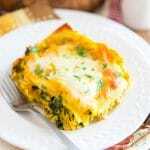 Maybe I need to be making lasagna every week so I can practice! If I was to do that, though, I think I’d be remaking that exact same one; cuz I think I could eat it for months on end and never ever tire of it. 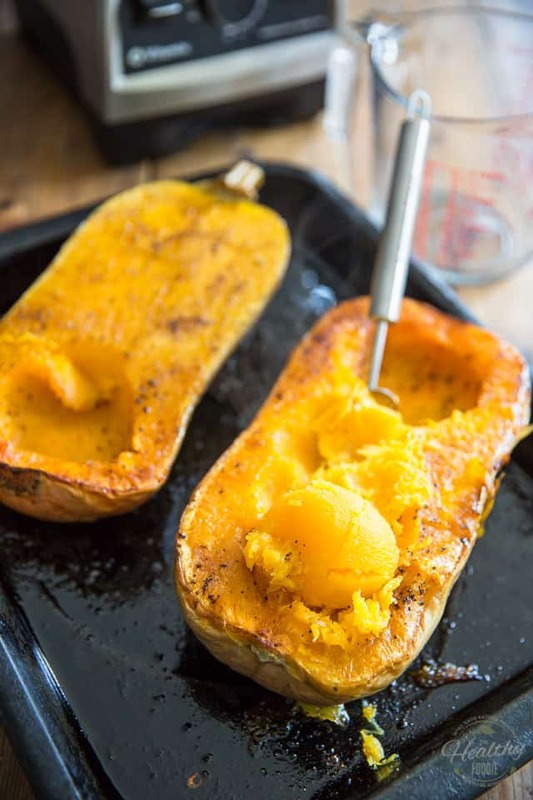 This recipe starts with one of my famous Oven Roasted Butternut Squash; to make it, you can refer to the original post for step-by-step instructions with pictures, or follow the instructions in the recipe card below. 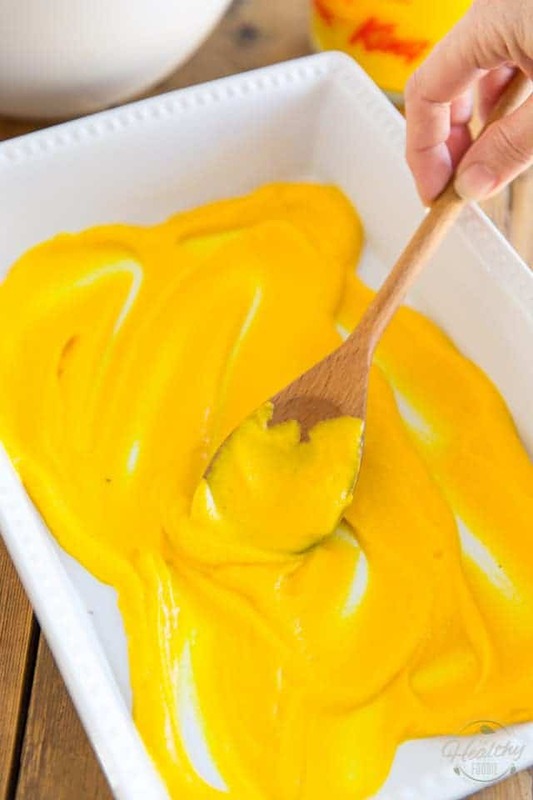 When your squash is fully cooked, remove it from the oven and allow it to cool for a few minutes until you can safely handle it. 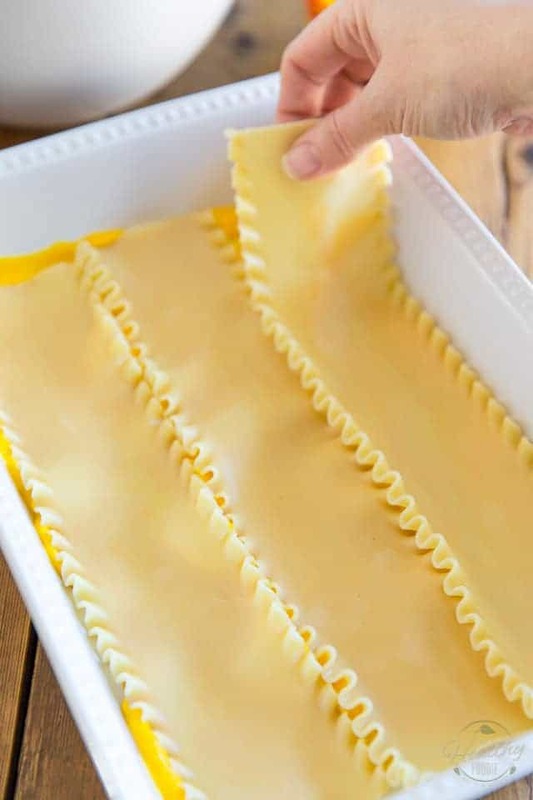 While that’s happening, bring a large pot of salted water to the boil and cook the lasagna noodles until they are just soft and pliable, about half way cooked; Carefully drain or fish the noodles out with kitchen tongs and arrange them side by side on a clean dish towel to absorb excess water. 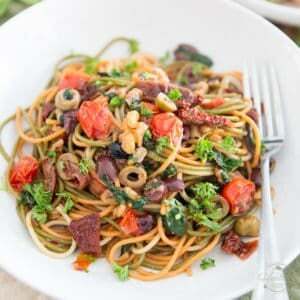 Your noodles can wait there for a little while, so there’s no need to time this perfectly. 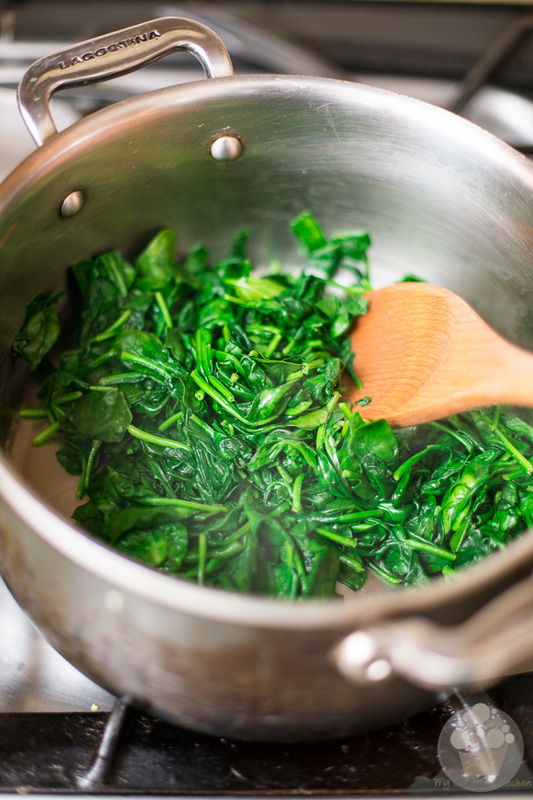 So while your pasta is cooking, place the spinach in a large stock pot set over medium heat. 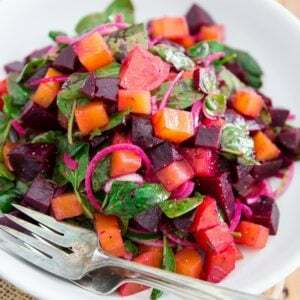 No need to add water or anything; just dump the spinach in and put the lid on! Then all that’s left to do is stir a little bit, from time to time, until the spinach is completely wilted, which usually takes about 3 minutes. 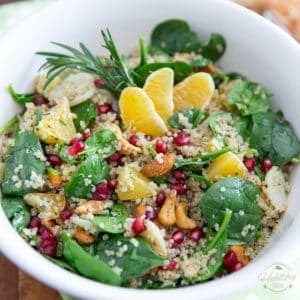 Once that’s done, let the spinach cool until you can safely handle it with your bare hands, then squeeze it in small batches between the palms of your hands to remove as much excess water as you possibly can. 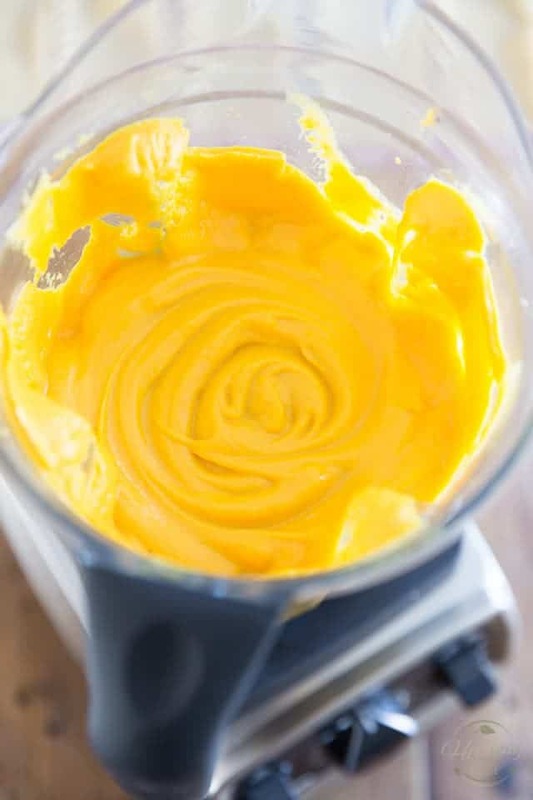 By now, I figure your squash should be cool enough to handle safely: scoop the flesh out with a large spoon and place it right into the container of your High-Speed Blender or food processor. 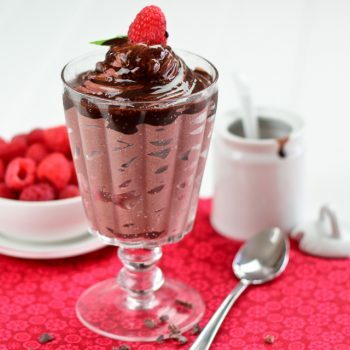 A high-speed blender will yield a much smoother sauce, so if you happen to have one, by all means, use it! 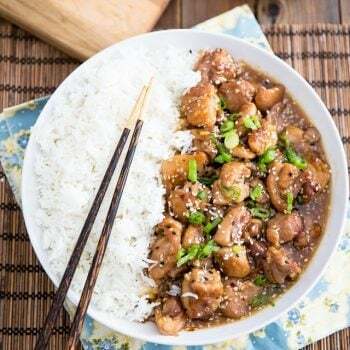 Add the chicken broth, heavy cream garlic clove and spices and process on high speed until really smooth and velvety, about 2 to 3 minutes, stopping to scrape the sides as necessary. 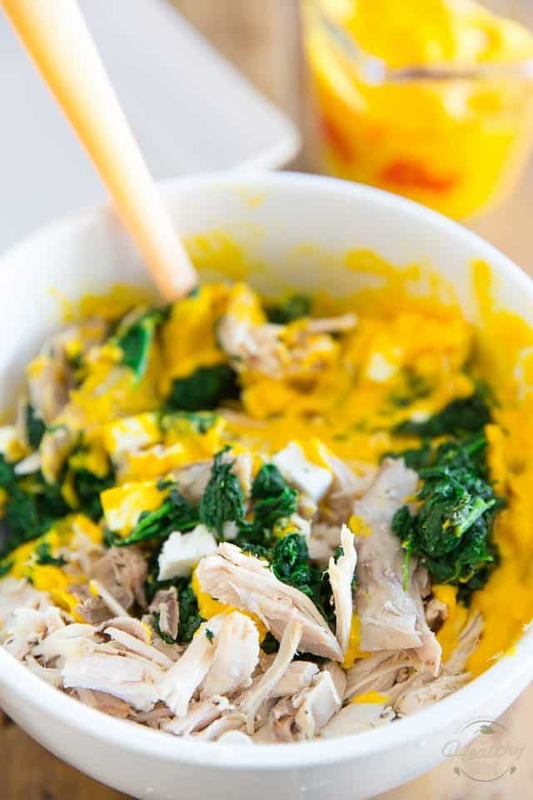 Reserve about 2 cups of the butternut squash sauce and pour the rest into a large mixing bowl; Add the cooked chicken, reserved spinach and cubed feta cheese and stir delicately until well combined. 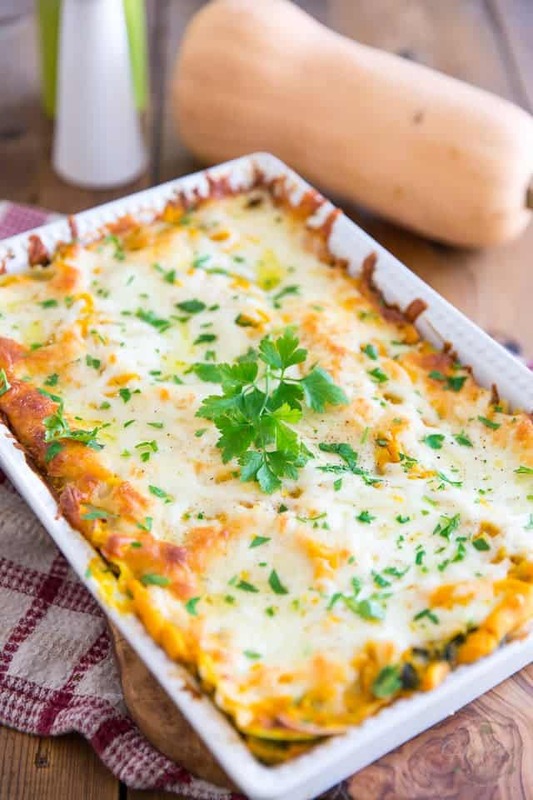 Now spread about 1 cup of the reserved butternut squash sauce at the bottom of a 9″ x 13″ lasagna baking dish. See the insane amount of spinach and chicken? And that’s just ONE layer… we’re about to double that! Lay down 3 more noodles and top them with what’s left of the chicken spinach mixture. Finally, top with the last 3 noodles and cover then with the remainder of the reserved butternut squash sauce. 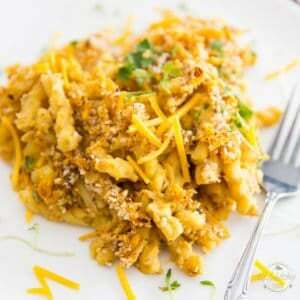 Sprinkle the top with the grated mozzarella cheese. 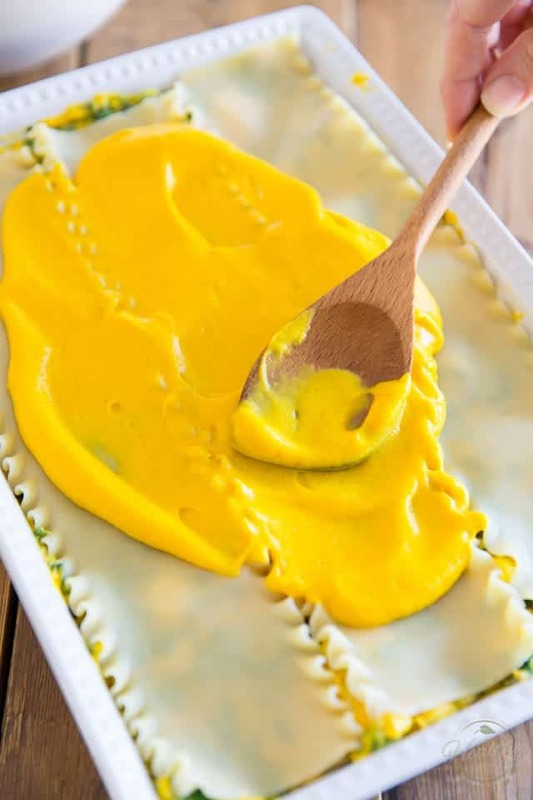 Bake your lasagna in the oven for about 35-40 minutes, until the cheese turns slightly golden and starts to bubble and the edges of the lasagna are nice and crispy. 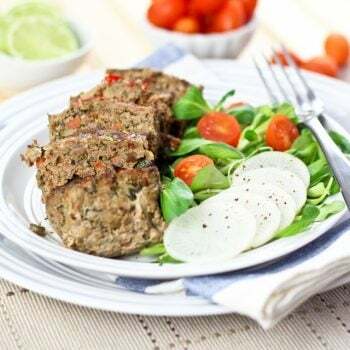 Allow your lasagna to rest for at least 15 minutes before serving; garnish with chopped fresh parsley and a light sprinkle of nutmeg at the moment of serving, if desired. 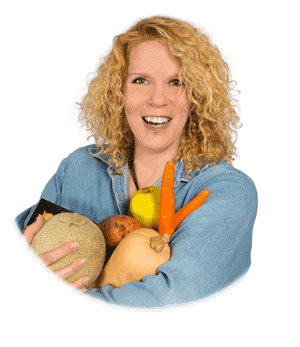 When the squash is fully cooked, remove it from the oven and allow it to cool for a few minutes until you can safely handle it. 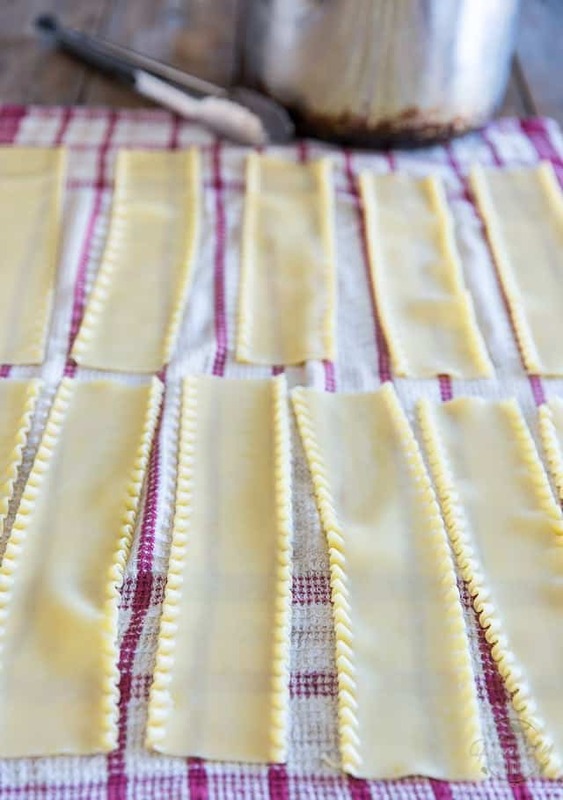 Meanwhile, bring a large pot of salted water to the boil and cook the lasagna noodles until they are just soft and pliable, about half way cooked; Carefully drain or fish the noodles out with kitdhen tongs and arrange them side by side on a clean dish towel to absorb excess water. Your noodles can wait there for a little while, you don’t need to time this perfectly. 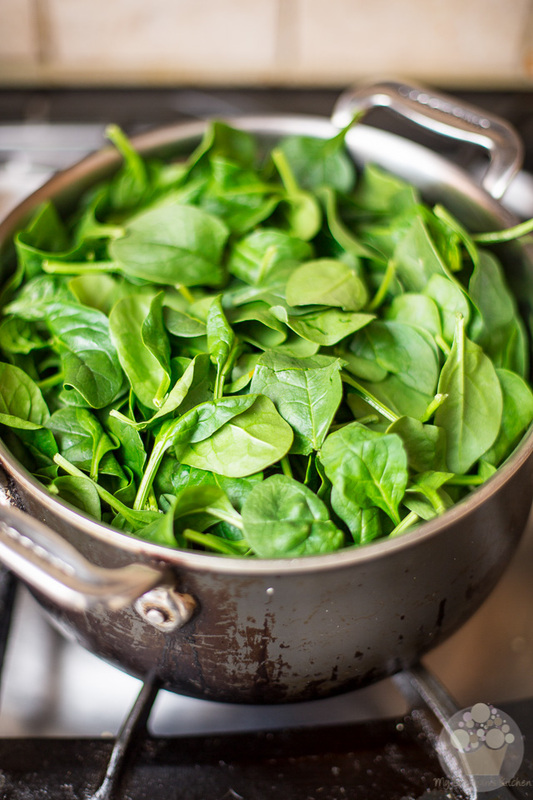 While the pasta is cooking, place the spinach in a large stock pot set over medium heat. Cover and cook, stirring occasionally, until the spinach is completely wilted, about 3 minutes. 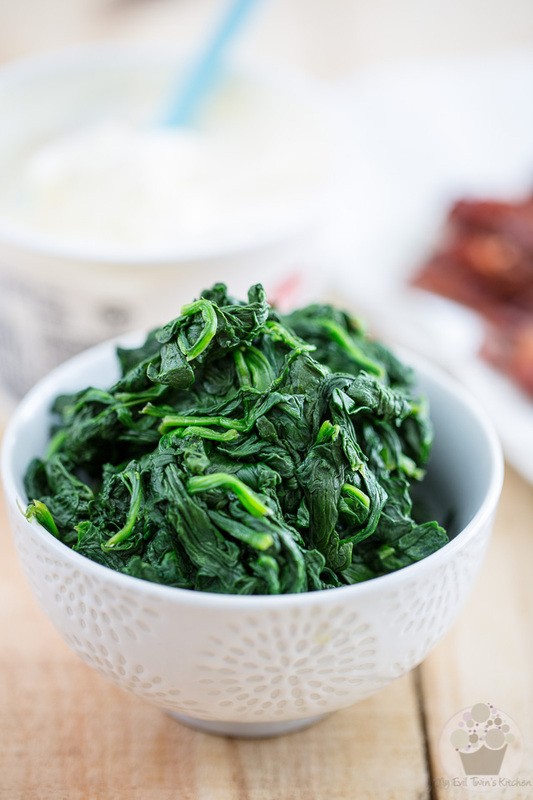 Let the spinach cool until you can safely handle it with your bare hands, then squeeze it in small batches between the palms of your hands to remove as much excess water as you possibly can. Set aside. 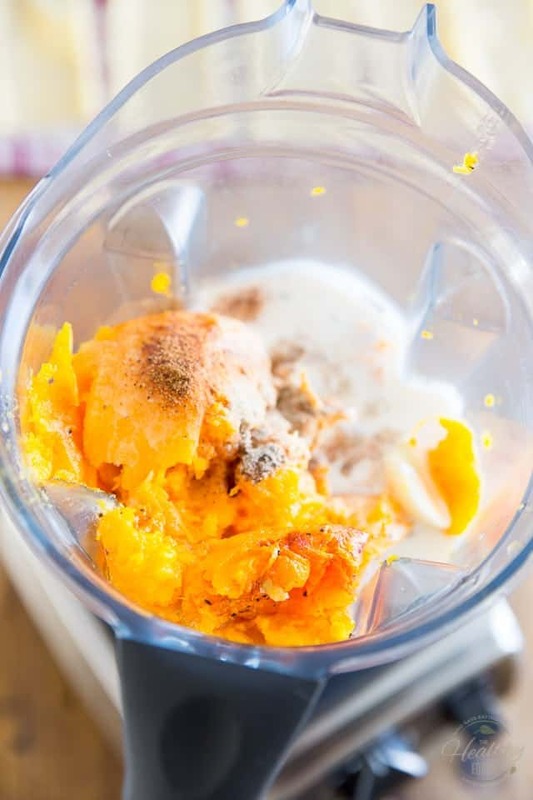 By now your squash should be cool enough to handle safely: scoop the flesh out with a large spoon and place the flesh into the container of your High-Speed Blender or food processor. 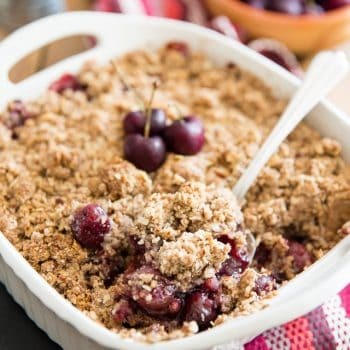 Add the rest of the ingredients for the sauce and process on high speed until really smooth and velvety, about 2 to 3 minutes, stopping to scrape the sides as necessary. Reserve about 2 cups of the butternut squash sauce and pour the rest into a large mixing bowl. Add the cooked chicken, reserved spinach and cubed feta cheese. Stir delicately until well combined. 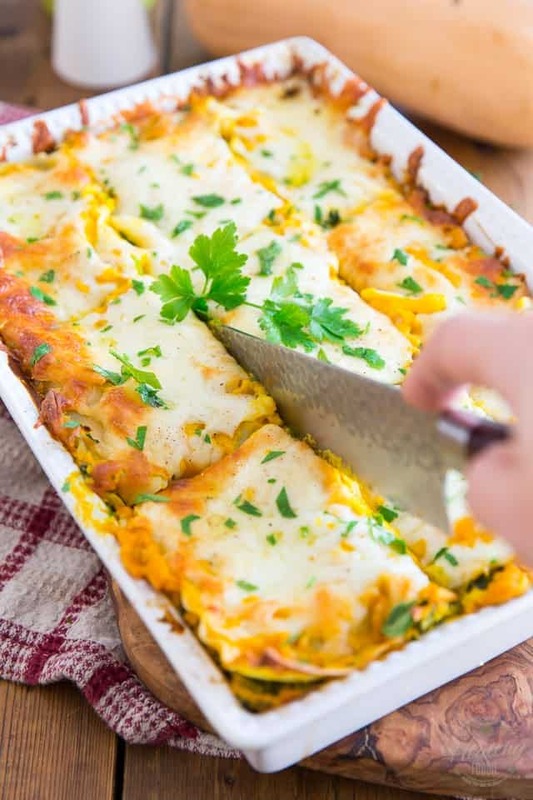 Spread about 1 cup of the reserved butternut squash sauce at the bottom of a 9" x 13" lasagna baking dish and top with 3 lasagna noodles. 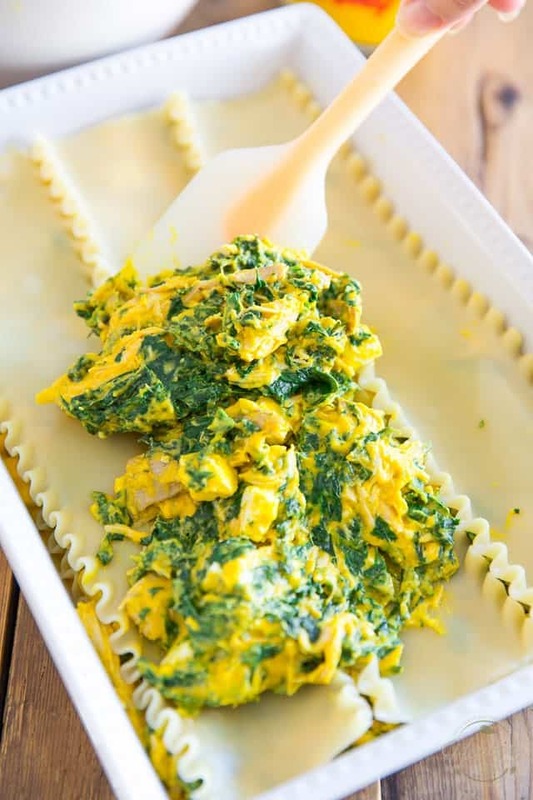 Spread about half the chicken spinach mixture over those noodles, then cover with 3 more noodles, followed by the rest of the chicken spinach mixture. Top with the final 3 noodles and cover with the remainder of the reserved butternut squash sauce. Finally, sprinkle with grated mozzarella cheese. 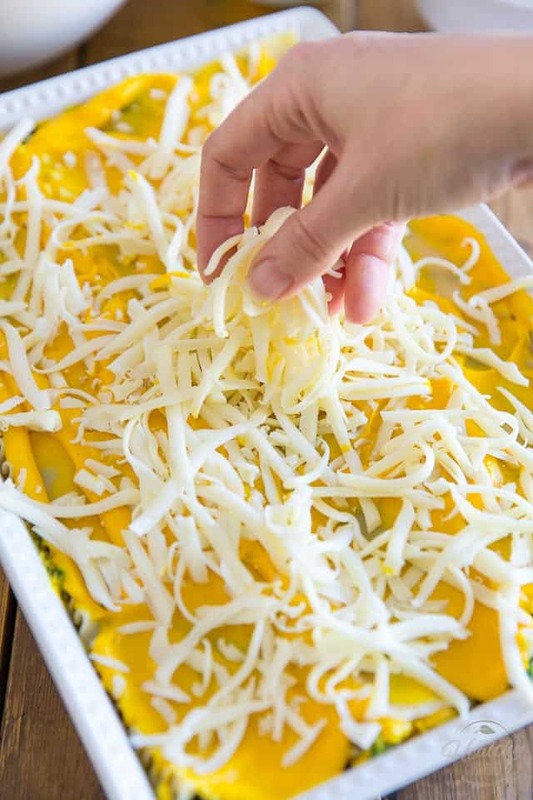 Bake in the oven for about 35-40 minutes, until the cheese turns slightly golden and starts to bubble and the edges of the lasagna are nice and crispy. 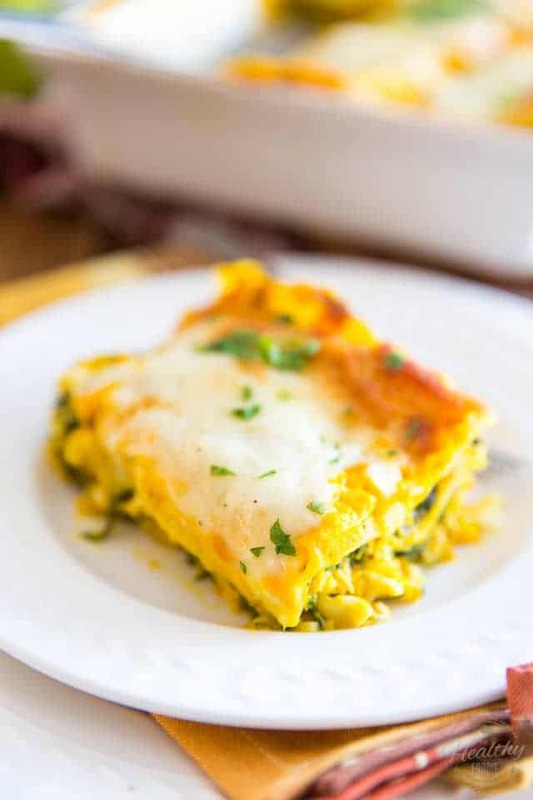 Allow the lasagna to rest for at least 15 minutes before serving; garnish with chopped fresh parsley and a light sprinkle of nutmeg at the moment of serving, if desired.